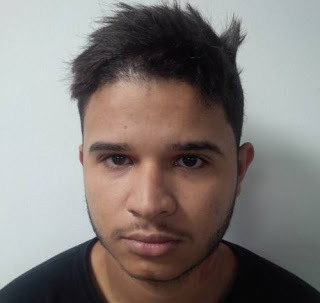 Two Brazilians have been arrested by officials of the National Drug Law Enforcement Agency (NDLEA) at the Murtala Muhammed International Airport (MMIA) in Lagos. 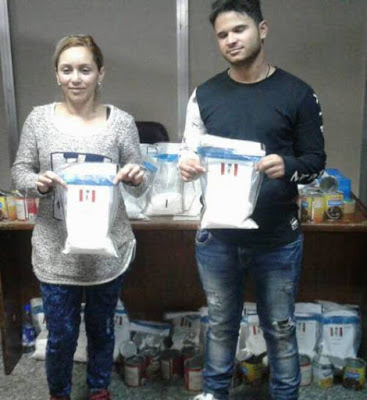 The culprits Dias Dos Santos Marcia Cristina , 36, and Lima Pereira Erick Diego, 20, were found to be in possession of over 23kg of cocaine. While Santos had 9.4 kg in her bag, Lima Pereira was found with 14.465kg in his. 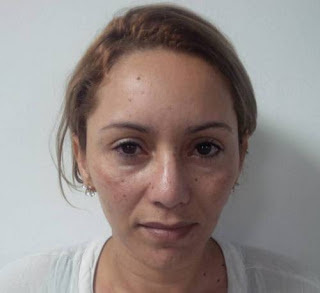 The drug smuggling duo, who traveled from São Paulo, claimed to be tourists. Mitchell Ofoyeju, spokesperson for NDLEA, said in a statement that the drugs were carefully hidden in food cans inside their luggage. The cocaine has an estimated street value of N310 million. Mr. Ofoyeju said that it was the first the NDLEA arrested Brazilians with cocaine at the Lagos airport. However, he explained that the Nigeria-Brazil cocaine trafficking route has gained notoriety over the years. 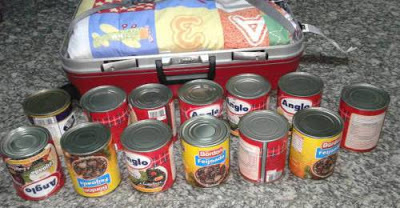 The cocaine was concealed inside tin food cans “The tins were factory-sealed such that officers had to cut them open to discover the concealed drugs. Several canned drugs had been uncovered at the Lagos airport in the past,” Mr. Ofoyeju said. "Now why do they have that smile on their faces? They actually think Nigerian Prison is cool!"